This homemade costume for men entered our 2011 Halloween Costume Contest. Jesse Pringle is wearing the Hills Creeper costume. The idea for the costume was from the movie, Hills Have Eyes. Custom fitted contact lenses, self applied makeup, and glued on human hair. 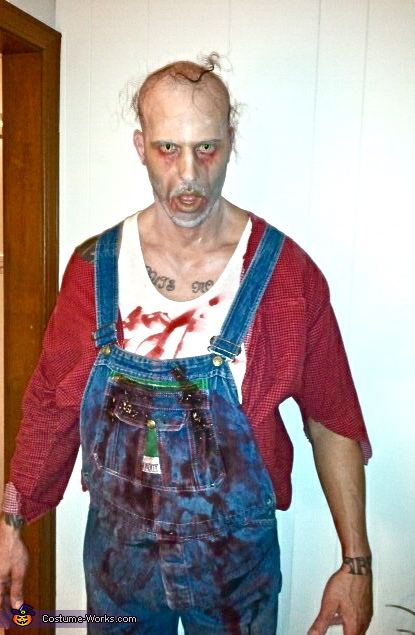 The bloody overalls and shirt were purchased at a second hand store. The entire costume excluding contacts priced at $20.